The registration form below has a download button that you can download, print, and fill out the form. Then mail it in or bring it to the rectory. 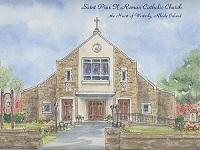 We welcome one and all to Saint Pius X Parish and to our family!